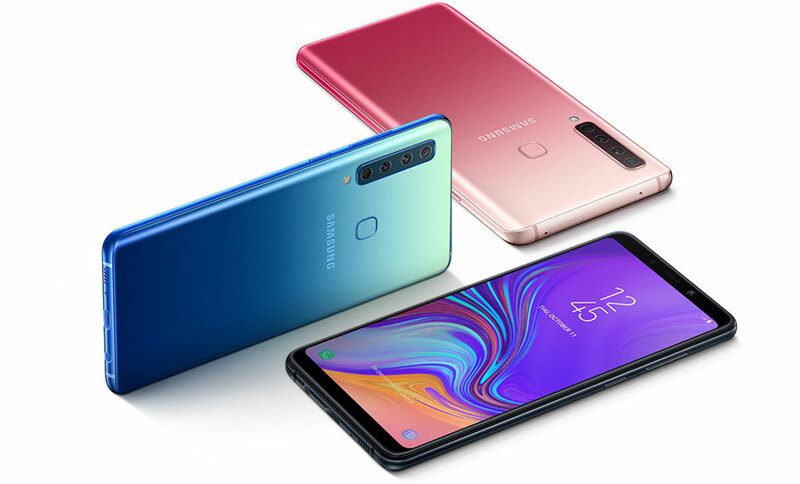 Samsung launched the Galaxy A9, its first smartphone with four rear camera. Company is ditching the metal unbody design and typical single and dual camera configuration and is instead trying something new. Galaxy A9 is Samsung’s attempt to take on premium mid range phone like OnePlus 6T and Poco F1. It has feature quad camera and gradient design to attract. The four cameras on the back is to offer more ways too capture a photographs by including a telephoto, mid range and depth sensor in one system. The Smartphone first launched at an event held in Kaula Lumpur, Malaysia. Galaxy A9 launched with two variant, one with 6GB RAM which is priced at Rs 36,990 and 8GB of RAM variant price at Rs 29,990. RAM & Storage: 6GB RAM + 128GB storage variant and 8GB RAM + 128GB storage. Camera: front Camera- there is a 24MP camera with f/2.0 aperture. A quad camera setup- 24-megapixel autofocus sensor with f/1.7 aperture + 10-megapixel telephoto sensor with f/2.4 aperture + 8-megapixel ultra-wide sensor with f/2.4 aperture + 5-megapixel depth sensor with f/2.2 aperture. Battery: A 3,800mAh battery with fast charge support via USB Type-C.
Software: Android Oreo 8.1 with Samsung’s UI. It comes with Caviar Black, Lemonade Blue and Bubblegum Pink colours and a 3D Glass-curved back. Samsung Galaxy A9 6GB/128GB of storage price at Rs 36,990. 8GB RAM variant has price at Rs 39,990. Galaxy A9′ price in India has been kept pretty competitive considering its global pricing is 599 euros.